Moving to Wisconsin? Looking for information on communities in Wisconsin? First Weber can help. 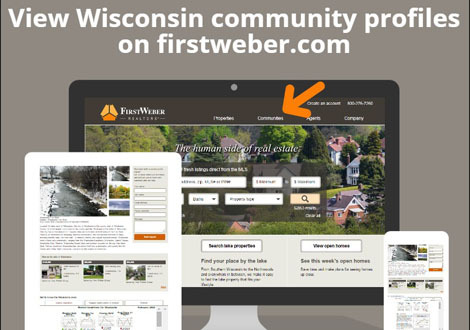 We’ve created more than 200 community-focused pages on firstweber.com where you can view homes for sale, see market statistics, school and also see nearby points of interest. You can check out most communities in Wisconsin here. If you need relocation assistance, check out First Weber’s Relocation Services.